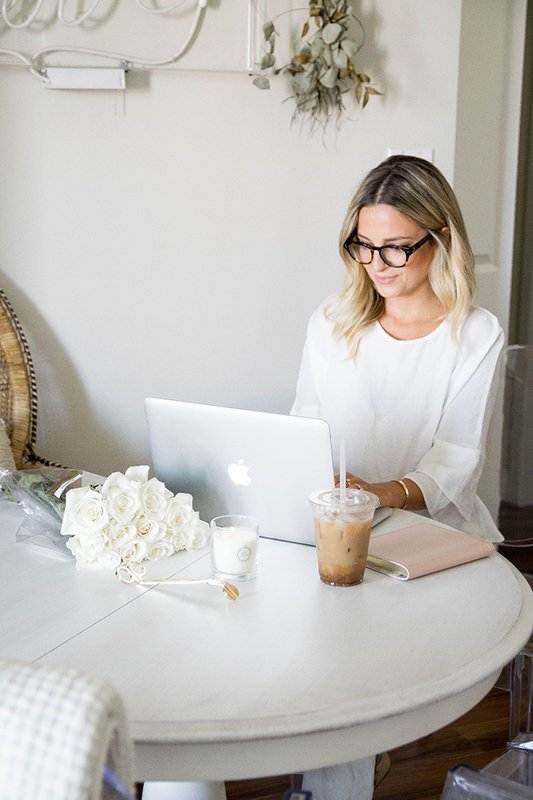 Many of you know that I recently aquired a new office space, before that, I worked from home every day. Now, I go into the office maybe 2-3 times a week and the rest of my days are again spent working from home. Having a home office can be a blessing and a curse - you’re in the same space all day and all night, and mainly by yourself. It can be difficult to keep motivated and inspired. 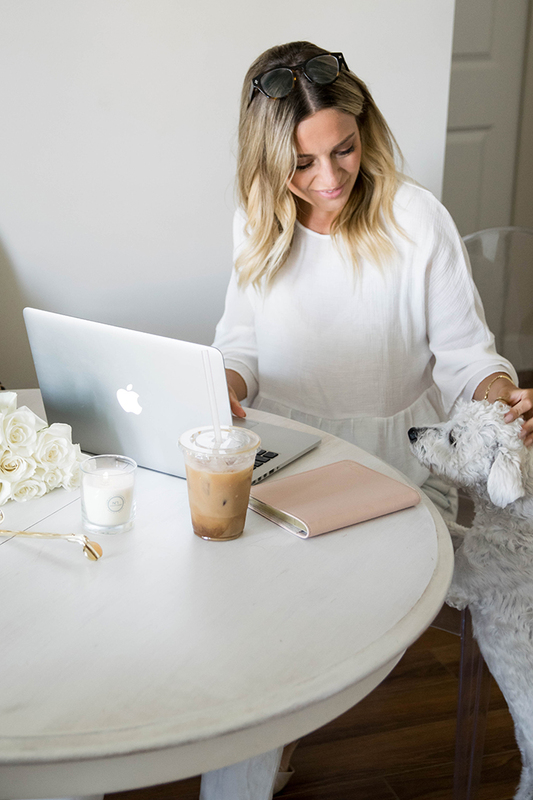 I wanted to share with you five ways I’ve learned to keep my space fresh and inspiring when I’m working from home. 1. Keep your space clutter free and organized. There’s nothing that gives me more stress and anxiety than a clutter-filled and disorganized space. 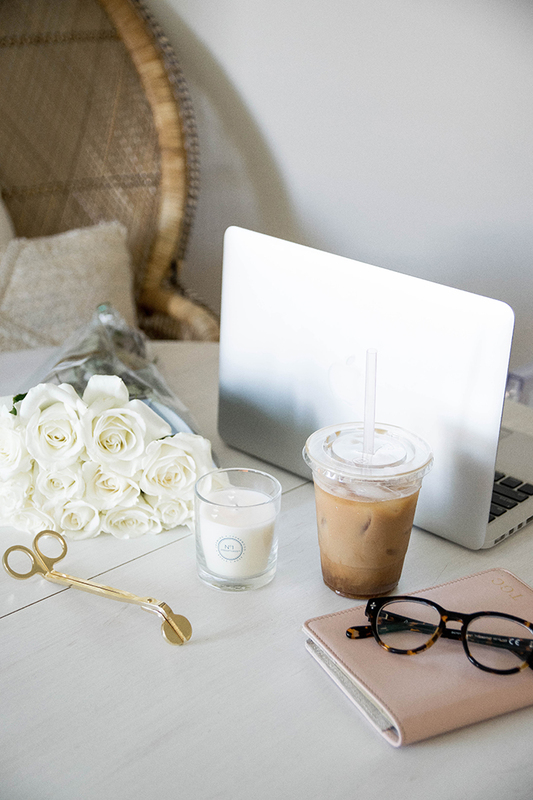 Keeping not only my work space but my home in general organized and with as little ‘things’ as possible allows me to have a fresh and relaxed environment, free to let my creativity flow! No not Pinterest, I’m talking good old fashioned magazine clippings, fabric swatches, inspirational quotes, things that make your heart happy. Pick up a cork board and start creating an inspiring pin board that makes you want to jump right in. Hang it somewhere you’ll see it everyday for a constant reminder of your personal brand and what inspires you. 3. Put what you love and what you’re working on front and centre. For me, being a clothing designer, I keep a clothing rack next to my desk so I can hang any pieces I’m working on, or just pieces that I love and that inspire me. If I’m working on blog content, I will hang any new pieces I’ve acquired to keep them top of mind when content planning. Having these items front and centre help me to stay focused and motivated on my latest projects. 4. Post your weekly/monthly/yearly goals. It’s so important to have what you want and where you’re going top of mind. 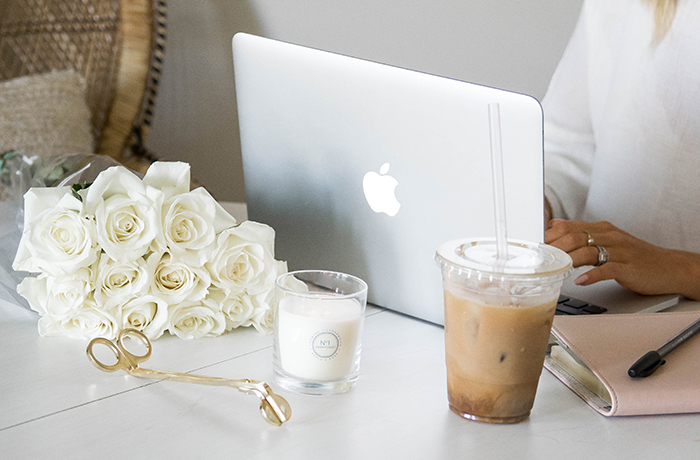 I like to write out my goals, whether it’s something I’m working on for the week, the month, or the year, and post it somewhere I will see it everyday - for me that’s my desktop, but you could post it on a mirror or wherever will help to keep it top of mind. 5. Pick up a fresh inviting scent. 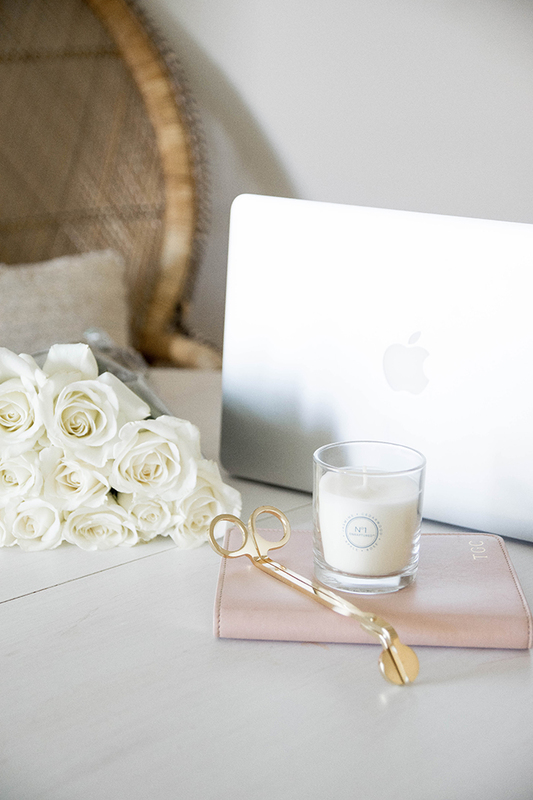 There’s just something about working away with a candle burning that I just love! It makes my space feel that much more inviting and cozy. I picked up a couple new scents from The Atmosphere Collection™ Fine Home Fragrance by Glade® - N°1 Enraptured™ – Jasmine and Cedarwood and N°2 Bright™ – Sweet Pea and Pear. 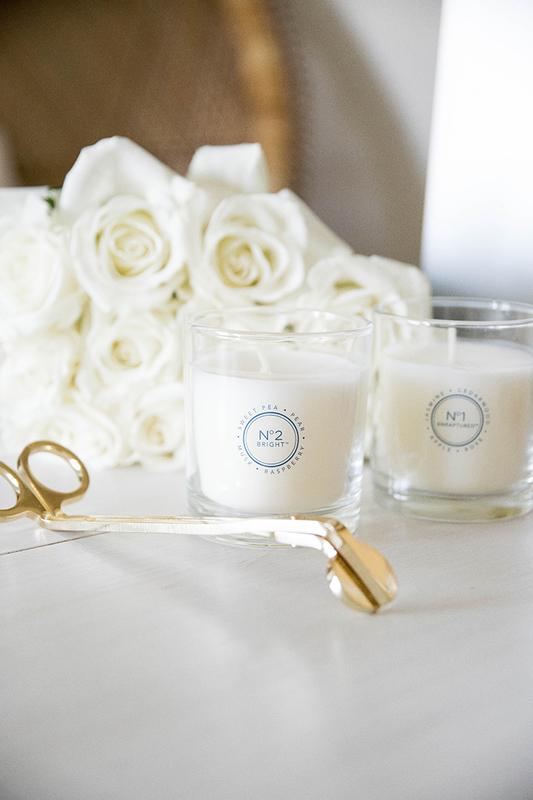 They both smell amazing and allow me to switch up my scent depending on my mood, the Jasmine and Cedarwood is enchanting and perfect for hubby, whereas the Sweet Pea and Pear is perfectly sweet and gorgeous on a spring/summer day. 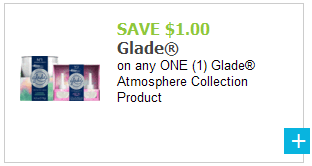 You can also save $1.00 when you buy any one Glade® Atmosphere Collection™ product at any Kroger stores so it’s the perfect time to refresh your space with a new scent! Clean and tidy workspace is a must for me!